In 2012, Abundance Wimbledon bought a fruit press and crusher. 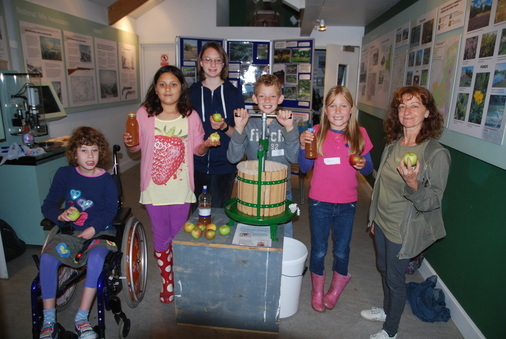 These were used at Fruit Day 2012 and lent out to people wanting to make fruit juice in the Wimbledon area. 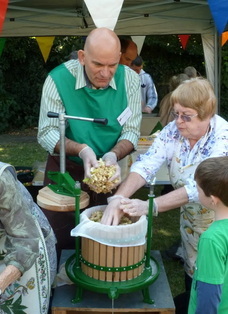 The 12 litre press and crusher were supplied by Vigo and paid for with money raised at Fruit Day 2011. One of the groups borrowing the fruit press was the Wimbledon Common Nature Club -see the picture below (courtesy of Auriel Glanville, The Studio SW19 8TL).